Over the last few days there has been increasing earthquake activity in Katla volcano. The increase is slow, but this is a increase in activity. This holds in line with increased glacier melt during the Icelandic summer. What appears to be different now is the phase the increase is happening. At the moment the earthquake activity has not yet reached last year activity levels. 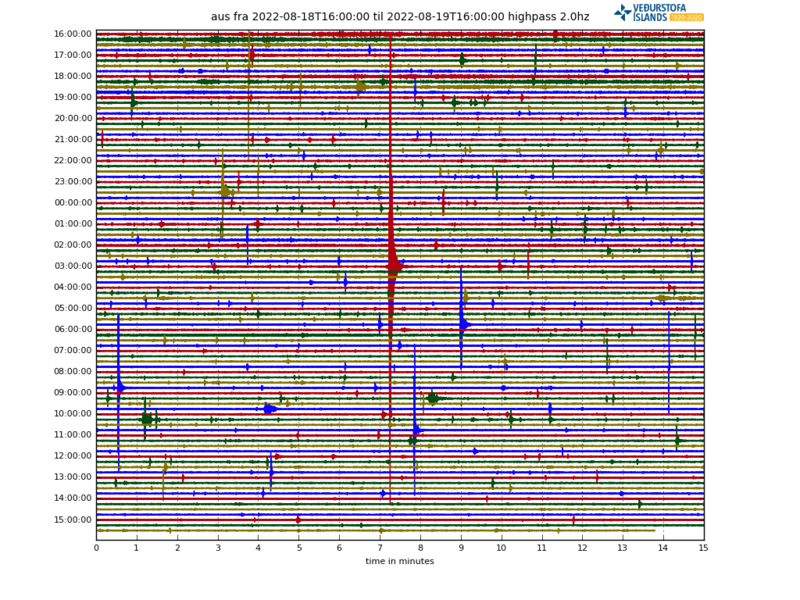 Earthquake activity in Katla volcano for the last 48 hours. Copyright of this image belongs to Icelandic Met Office. Largest earthquake in last 48 hours had the magnitude of 2,4 and took place in a minor earthquake swarm inside Katla volcano caldera. Since then there has been minor earthquake activity inside Katla volcano caldera, but compared to last year current activity is low. Other earthquakes that have happened have been smaller in magnitude. How does a person contribute? I don’t see a link or means to do it on my iPhone. The most secure way to donate is with PayPal. If you are from Europe you can use SWIFT also to donate. That is not offered in the U.S I think. The paypal buttons are up on the right, I do not know how well my website shows in iPhone. But I can see the paypal buttons on my Android phone. I do recommend using a desktop computer when donating, to avoid mistakes while typing in numbers and other details.